Assam Chief Minister Sarbananda Sonowal on Saturday launched the 70 MW Lakwa Replacement Power Project at Maibella in Lakwa in upper Assam’s Charaideo district. Lakwa Replacement Power Project is a manifestation of Wartsila Smart Power Generation Concept implemented by Wartsila India Pvt. Limited in association with Assam Power Generation Company Limited. The new power project would replace outdated gas turbine units with Wärtsilä technology. When gas is scarce, the erstwhile plant need to be run at part-loa, however, Wärtsilä engines can do this while maintaining very high efficiency which would not have been possible with gas turbines. 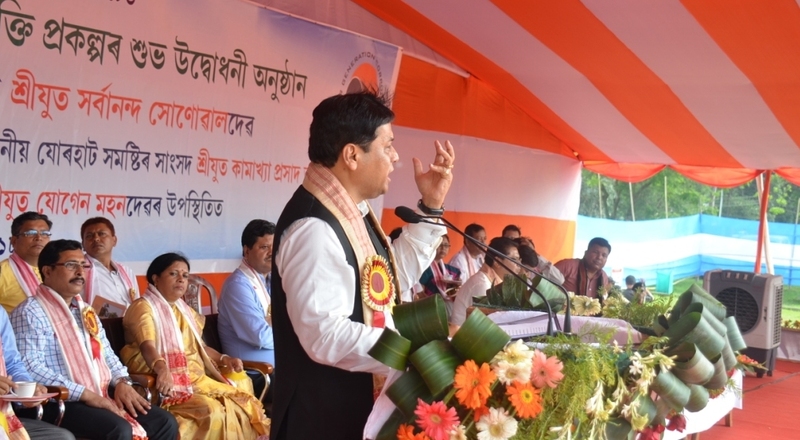 Chief Minister Sonowal said that inauguration of Lakwa Replacement Power Project is an important achievement towards State government’s efforts in attaining self-reliance in power generation. He also said that generation of power is one of the objectives of his government as attaining self-sufficiency would lead to industrialisation and generation of employment avenues. Sonowal said that the State government has drawn a broad map for providing uninterrupted power to all the 65 lakh households in Assam as the government could achieve the target of providing electricity to 44 lakh households and remaining would be provided by the end of December 31 this year. Sonowal said that after his government assumed power, revenue generation in sales, excise, road transport have increased phenomenally. He said that his government has set the target of making 7000 km concrete road in rural areas under PMGSY and the work in the direction has begun on full throttle. Sonowal said that his government’s steps against corruption have yielded unprecedented results which helped the people to repose their faith in governance and government machinery. However, he also made it clear that his uncompromising tirade against corruption would continue unabated till the menace of corruption is wiped out completely. Sonowal urged upon the people at large to have close watch on the activities of his government and provide all suggestions so that the government can fulfil its avowed objective of Sabka Saath Sabka Vikash.